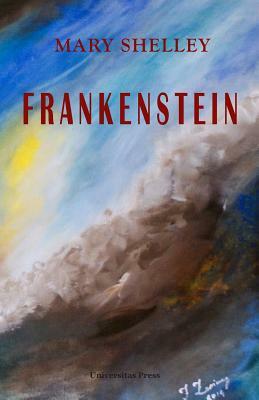 Frankenstein is, arguably, one of the most iconic novels in English literature. With its powerful, unsettling plot, isolated characters, and the wretched Creature at its center, it has become part of the Western cultural fabric. Mary Shelley reminds us that the error of the scientist can only have dreadful consequences if the rest of society proves to be irresponsible. Frankenstein's one sin is a sin of omission, rather than a sin of commission: he fails to accept the responsibilities of his creativity, and for this he is fearfully punished. But the real villain of the work is all mankind, the social animal that blindly abuses his tools. Frankenstein is read today in two slightly different versions: the first edition of 1818, written by a very young Mary Shelley; and the edition of 1831, in which irreversible fate is more powerful than human free will. Other, minor, differences between the two texts originate in yet another version of 1823. In the present edition, we have preferred the 1818 original text, more useful for the student of British Romanticism, but we have incorporated all those corrections from 1823 that the novelist chose to preserve in 1831, in the hope of doing justice to the young Mary Shelley, without entirely disregarding the wishes of the mature author.